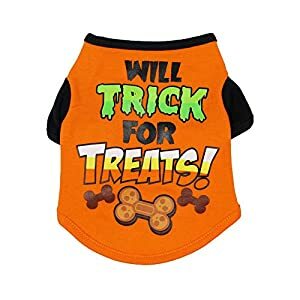 Fancy holiday fashion, perfect costume for your pet this Halloween season. Made of premium quality material, lightweight and breathable, soft and comfortable for your pet to wear. A great gift for your lovely little pet, make your pet become more cute, adorable and attractive.